We are a leading Exporter of uniform sweater, full sleeve sweater, half sleeves uniform sweater, school uniform sweater and men uniform sweater from New Delhi, India. 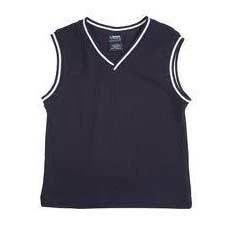 Being one of the leading manufacturers and suppliers of this commendable range of Uniform Sweater we engage in using of the finest wool and modern machines. Owing to this, the offered product has a superior resistance to shrinkage, a commendable finishing, an unmatched colorfastness and a perfect fitting. Further, we make these available at a market leading rate. "KDR Woollen Industries", established in the year 1961, is known to be one of the leading manufacturers, suppliers and exporters of this commendable range of Woolen Garments and Yarns. The range consisting of Uniform Sweater, Woollen Jacket and Woolen Pullover, Indian Banjara Square Cushion Cover Vintage Cushion Cover has a high preference in the market. Manufacturing of these done in accordance with the industry set norms and guidelines, using the finest fabric, wool and modern machines, highly standardizes the products. In addition, the offered range is widely asked for, owing to its reasonable pricing. 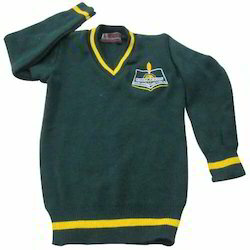 For reasons of quality standardization, the offered School Uniform Sweater is made in accordance with the set industry norms and guidelines. Owing to the finest quality of wool and modern machines used for its processing, its finishing, fitting and resistance to fading and shrinkage is highly impeccable in nature. 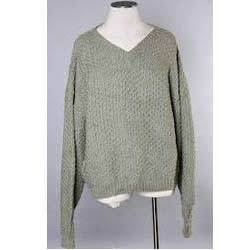 Made in accordance with the set industry norms and guidelines, quality of this Men Uniform Sweater is highly standardized. The highest grade of wool and modern equipment used in its making, gives the product superior strength, finishing, fitting, colorfastness and resistance to shrinkage. Further, the offered product is marked at the best rate possible. 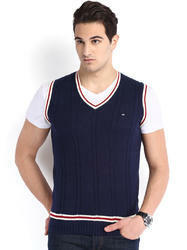 Looking for Uniform Sweater ?